2005. Park's Montage (박찬욱의 몽타주). 마음 산책. 299 էջ. ISBN 89-89351-81-2. 2005. 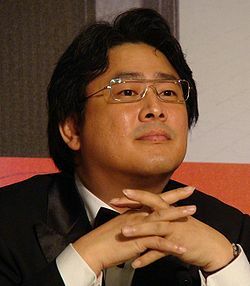 Park's Hommage (박찬욱의 오마주). 마음 산책. 528 էջ. ISBN 89-89351-82-0. ↑ 1,0 1,1 German National Library, Berlin State Library, Bavarian State Library et al. Record #131384414 // Gemeinsame Normdatei — 2012—2016. ↑ 4,0 4,1 4,2 4,3 Интервью Пак Чхан-Ука для "The Hollywood Reporter"